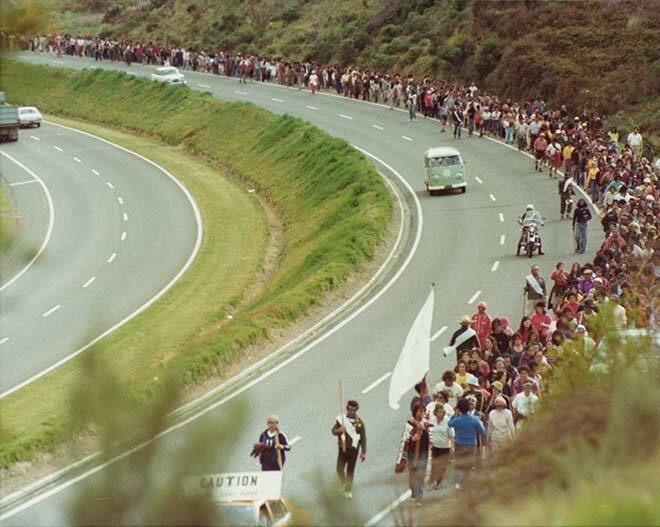 The 1975 Māori land march nears its destination. The march, which began at Te Hāpua, the northernmost settlement in New Zealand, and ended at Parliament, was a protest against continuing losses of Māori land. It contributed to the formation of the Waitangi Tribunal.